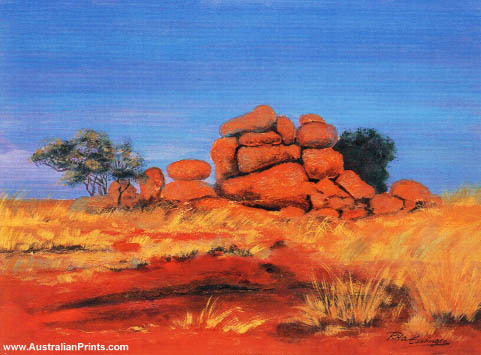 Rita Esslinger is a german-born artist with a fascination for the rich colours of the Australian landscape. Rita Esslinger was born in Germany and migrated to Australia in 1970 taking up oil painting lessons with Wesley Penberthy at Melbourne university. Her background is fashion design but she found it too commercial and decided to devote herself to more creative expressions. Esslinger’s fascination with the rich colours of the Australian landscape has influenced her sensitive approach in capturing these elements, the vast diversity forever stimulating her into exploration of texture, colour, space, mood and balance. 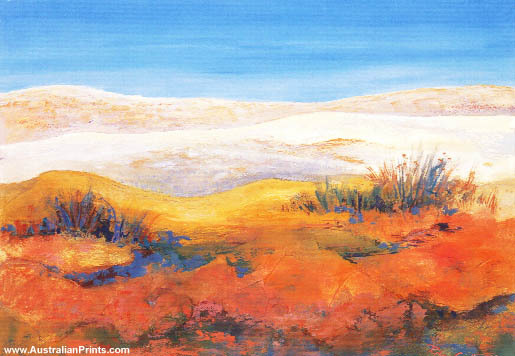 Artist information page for Rita Esslinger.